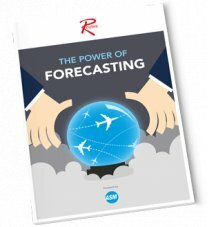 Forecasting has remained a consistently powerful and effective method of helping airports and airlines to understand and evaluate credible route opportunities. While the aviation industry has long relied on forecasting to better understand and develop business opportunities, the subject remains shrouded in mystery for some; viewed more as a dark art than a science. What is passenger route forecasting? Why do airports need forecasting? What are airlines looking for? Fill in the form to download your free copy today. UBM (UK) Ltd may from time to time send updates about ASM and other relevant UBM products and services.